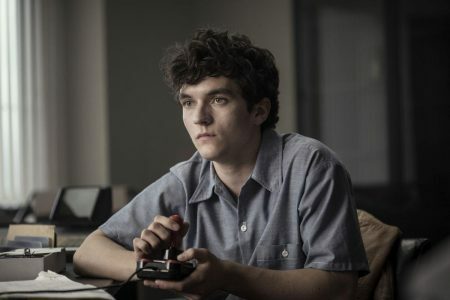 Instead, we are reassured that Bandersnatch’s branching narratives and user choices are necessary to telling the self-reflexive story about 1980s gaming that Charlie Brooker wanted to tell: “annoyingly, several weeks later we were discussing story ideas, and this idea popped up that would only work as an interactive story” (Brooker in Aitkenhead 2018: 55). ergodic intrigue is directed against the user, who must figure out for herself what is going on. Also, ergodic intrigue must have more than one explicit outcome and cannot, therefore, be successful or unsuccessful; this attribute here depends on the player. The target of the intrigue might be called the intriguee and is a parallel …to the implied reader of the narratologist, as well as to the main character (or “puppet”…) (Aarseth 1997: 113). Differences between the three positions are brought into sharp focus every time the main character dies: “The main character is simply dead, erased, and must begin again. The narratee, on the other hand, is explicitly told what happened… and offered the chance to start anew. The user, aware of all this in a way denied to the narratee, learns from the mistakes and previous experience and is able to play a different game” (Aarseth 1997: 113). The result is that “intrigue constitutes a multidimensional event space and unfolds through the negotiation of this space by text and user… Thus the determinate cybertext reconstitutes literary experience along a different plane than the narrative. Instead of a narrative constituted of a story or plot, we get an intrigue-oriented ergodic log—or… ergodic discourse” (Aarseth 1997: 114). Yet this style of scholarly and industrial response feeds all too neatly into Netflix/journalistic paratexts, again emphasising Bandersnatch’s innovative or allegedly ‘game-changing’ nature. Have fabula and syuzhet really been displaced by “ergodic intrigue”? Has a “dominant reading” truly been dissolved? Arguably not – even without Bandersnatch’s viewer-user making any choices there is a ‘default’ pathway in which options are automatically selected. And when the user refuses to engage with specific options, failing to enable Stefan (Fionn Whitehead) to discuss his mother with his therapist, or failing to follow Colin (Will Poulter) and learn more about his philosophy of the multiverse, then they are steered back towards these pathways, and hence towards the bittersweet ‘San Junipero’-style ending which offers an emotional resolution, of sorts, to Stefan’s loss of his mother. 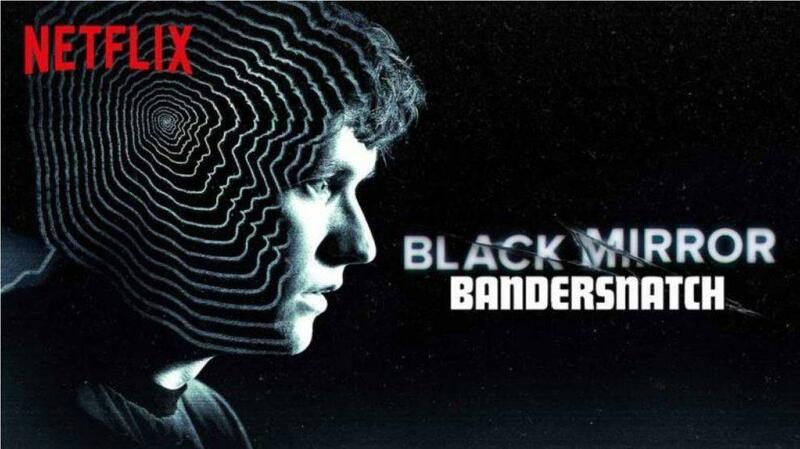 It could be argued that Bandersnatch’s different pathways condense together the different versions and identities of Black Mirror that have already been offered up across its previous series: we have a bleak realist ending where Stefan is imprisoned; the aforementioned bittersweet, sentimental ending; assorted playful endings that either come up-to-date by referring to Bandersnatch as a new Netflix project or show Stefan as a character played by an actor; and the strongest ‘meta’ 80s ending where Stefan becomes aware that his decisions are controlled by a Netflix user. None of these pathways really challenge or extend Black Mirror as a brand; all of them reinforce its established parameters and anthologised identities, suggesting that the “dominant reading” here is an acquiescence to, and sharp performance of, contemporary TV branding discourses. At the same time, whilst fabula and syuzhet may somewhat collapse together into differently parcelled-out modules or blocs of ‘interactive’ storytelling, there is still quite clearly a series of underlying and pluralised fabulas embedded in the overall plotted structure of Bandersnatch; it remains perfectly feasible to summarise different story sequences and their outcomes (along with the accompanying ‘Micro Play’ reviews of the in-world Bandersnatch game which demarcate some variant paths). 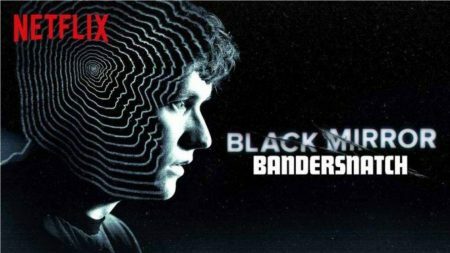 In short, Bandersnatch’s re-narrations occur within a specific (TV) taste culture, being predominantly and simultaneously both techno-fetishistic and retro-fetishistic: the episode/event is framed as a game-like Netflix innovation as well as 1980s’ videogame nostalgia (and simultaneously fanboy-auteurist or Brooker-centric creativity, given his professional history). Re-narration is thus enclosed here not only by the established Black Mirror brand but also, arguably, by the cultural codes of geek masculinity. But what if we could choose another path? What if we could aim, instead, to read Bandersnatch from outside its own gamer-geek co-ordinates and its own disciplining self-reflexivity. Netflix isn’t just a text option appearing on-screen during the “event”, after all, it is actually presented via the brand’s real-world curving logo (unlike any other moment in the text): “the long 1980s” (Jelfs 2018: 145) of material culture and neoliberal, entrepreneurial start-ups such as ‘Tuckersoft’ can still inhabit common sense for contemporary audiences, but “Netflix” is supposedly diegetically incomprehensible to intelligent 1980s geeks/coders/readers of speculative fiction, such is its (implied) potency of innovation and game-changing status. The episode’s exaggeratedly ‘meta’ pathway hence replays Netflix’s brand values just as powerfully as the whole iterates Black-Mirror-as-brand; gaming interaction here is wholly contained in a neoliberal frame, as Daniel Muriel and Garry Crawford (2018) have argued, just as it is contained by an intertextual web of (culturally masculinised) geek culture. However, re-narration has operated outside ‘Choose Your Own Adventure’ geek parameters in other forms of recent TV drama. 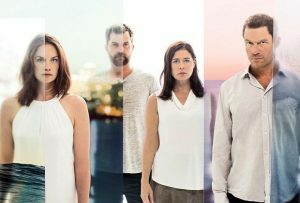 For instance, in The Affair, Showtime’s (2014–) example of ‘quality’ soap drama focused on the emotional wrangles of passionate love affairs and relationships, differences in representation/memory/story are linked to the visualised subjectivities of a range of male and female characters. What might an alternative mode of re-narration look like here, very much outside the parameters of geek masculinity and retro/techno-fetishism? Celebrating Black Mirror: Bandersnatch on its own terms means simply mirroring the (sub)cultural capital of gamer/geek culture, whilst dismissing Bandersnatch has tended to involve mirroring well-established splits between narratology and ludology – e.g. it doesn’t have enough of a story, with its game element implicitly acting as a distraction, or the game mechanic explicitly gets in the way of narrative immersion/suspension of disbelief etc. There has been a remarkably limited range of critical reactions, ironically almost as if critics are selecting from a fixed set of options – a sort of branching ‘Choose Your Own Critique’ playbook. 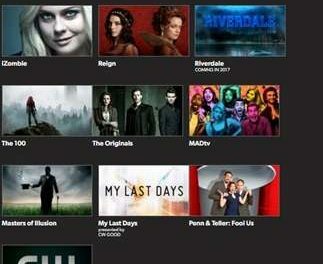 To give one prominent example, writing in The New York Times, James Poniewozik moves outside Black Mirror’s techno-retro-fetishism by contrasting Bandersnatch with culturally-masculinised canonical ‘quality’ TV such as The Sopranos, arguing that artistic TV complexity is more synonymous with uncertainty and hence ‘real’ interactivity than Black Mirror’s recent experiment. Yet such a contrast merely subordinates gamer/geek masculinity and its re-narrations to more culturally secure TV “art”. In any case, The Sopranos does not offer a branching narrative, unlike The Affair’s series four, but simply with-holds story or fabula via its concluding cut to black. As such, Poniewozik’s manoeuvre amounts, ultimately, to little less than a hackneyed ‘art’ versus ‘gamer/geek’ binary, with consecrated cultural capital and its irresolvable aesthetic mysteries supposedly deserving the label of genuinely “interactive” fiction, whilst Bandersnatch offers the enfeebled certainty of different outcomes as it is replayed and mapped by fans on Reddit, and hence the allegedly faux or reduced satisfactions of (unconsecrated) subcultural capital. ‘Bad luck, Black Mirror redditors’, Poniewozik’s piece seems to crow, ‘you’ve been watching the wrong, non-canonical TV series, and playing the wrong game of knowledge’. Rather than comparatively alleging that Bandersnatch isn’t enough of a work of TV art, or even enough of a “work of game” (Sharp 2015), I’m more interested in contrasting its ergodic re-narrations with a different kind of explicit, denotative re-narration linked to the melodrama and relationships-oriented focus of The Affair. This isn’t a matter of certainty vs. mystery or canonical TV art vs. TV brand reinforcement – my interest lies, rather, in considering how explicit re-narration can be differentially played with in gendered (TV) taste cultures. 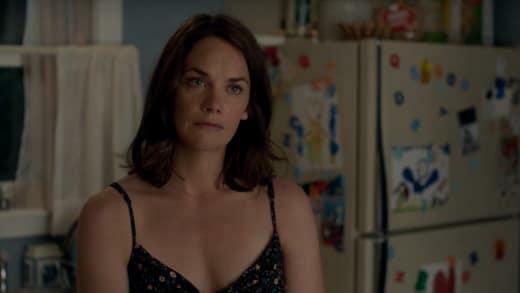 The Affair, after all, is hardly a favourite of geek masculinity or cult gamer culture. Nor has it been championed as a canonical marker of peak ‘quality’ television drama. Instead it is a culturally feminised ‘quality’ text, given the competencies and narrative questions it explores, and given its consistent focus on emotional literacy and ‘coping’. It is aligned with the showrunner status of Hagai Levi and Sarah Treem, who had previously worked on In Treatment for HBO. Having narratively played with gender differences in perception and interpretation, especially via the subjective accounts of Noah Solloway (Dominic West) and Alison Bailey (Ruth Wilson), as well as previously adopting a psychological thriller’s take on unreliable narration, series four of The Affair breaks with its own norms whereby episodes are split into different character’s perspectives, e.g. ‘Part One: Noah’, or ‘Part Two: Alison’. Fabula in the show has never been definitively eroded by such shifting viewpoints, given that it’s always been possible to re-construct the fabula from multiple subjective instances of syuzhet, with only minor details remaining undecidable. By contrast, S4e9 is split into two sections, ‘Part One: Alison’ and, surprisingly, again ‘Part Two: Alison’. Each represents a very different account of the character’s final moments ahead of her demise, with Ruth Wilson having been written out of the show at the end of series 4. IndieWire’s episode recap argued that this indicated the unknowability of intimate others/partners, and the “frustrating truth that in real life” sometimes there are no real answers as to what has happened, emotionally. 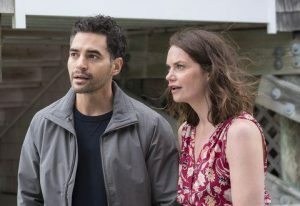 Yet this review failed to connect the episode’s highly unusual form with Alison’s previous cry for help from Helen (Maura Tierney). Here, Alison pondered how she could stop being seen as the kind of woman that men would mess with; Helen’s response, drawing on her LA psychotherapy sessions, was that Alison could tell a different story about herself, i.e. re-narrate herself no longer as a victim of predatory masculinity. Setting aside the problems with this for one moment (shouldn’t problematic masculinity also be re-narrated? ), the two narratives offered about Alison, and crucially from the same subjective position – i.e. her own – would seem to substantiate Helen’s therapy-speak. Fabula dissolves entirely here; as an audience, we are unclear how, or whether, Alison has subjectively (re-)narrated her own self-identity, and what has transpired as a result. This is the theoretical framework of Anthony Giddens in The Transformation of Intimacy (1992) set to work in TV drama – namely, Alison appears to have potentially embraced a therapeutic re-narration of her very self-identity. Because of its reflexively mobilized… dynamism, modern social activity has an essentially counterfactual character… In a post-traditional social universe, an indefinite range of potential courses of action (with their attendant risks) is at any given moment open to individuals and collectivities. Choosing among such alternatives is always an ‘as if’ matter, a question of selecting between ‘possible worlds’. Living in circumstances of modernity is best understood as a …routine contemplation of counterfactuals (Giddens 1991: 28—29). Here, re-narration is not a substantive matter of therapeutic self-realisation; it is, rather, a generalised condition of gamified, reflexive culture. And whereas Bandersnatch conveys a sense of interactive neoliberal non-agency – player-users are insistently pushed down certain pathways by closed loops and invitations to try again – then The Affair’s undecidability nevertheless holds out the hope of therapeutic re-self-narration, as well as illustrating the dangers that can be linked to not attaining this, and so remaining enclosed by the projections and repetitions of damaged subjectivity (for both Alison and for the PTSD sufferer Ben – played by Ramon Rodriguez – who attacks her in one version of episode S4e9). The Affair asks audiences to decide which ending they want for Alison and Ben, or for themselves, without closing down into a definitive diegesis. As such, The Affair leaves its branching narrative twin-tracked, at least for now, whereas Bandersnatch necessarily narrows down its options, something that is visualised in its interface design; as time ticks away for the player to choose between two options, a white bar recedes from both edges of the screen into a central point, dramatizing and symbolising the narrowing of two into one, and thereby coding the “glyph” character that Stefan becomes diegetically fixated upon without directly repeating it. 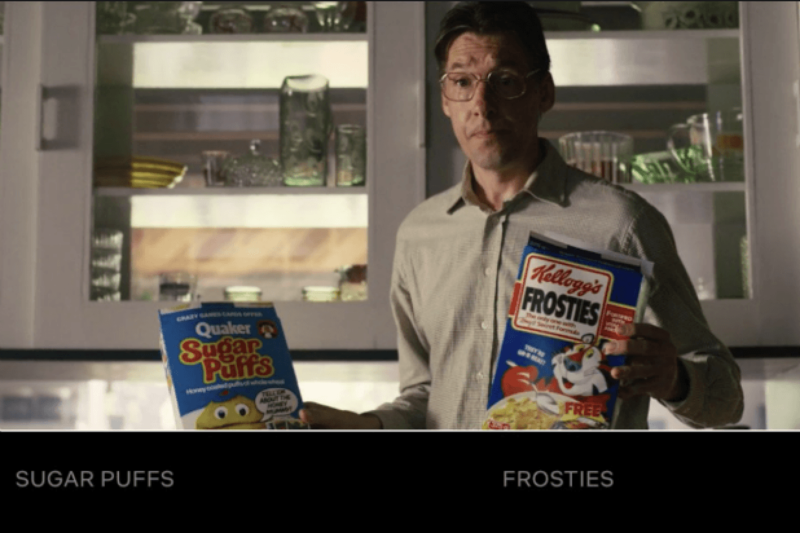 Black Mirror: Bandersnatch – What do you want for breakfast? To conclude, I would argue that Bandersnatch, whilst intriguing on its own cultural terms, is also significantly limited by those very terms. As a celebration and enactment of geek masculinity’s understandings of what it means to ‘Choose Your Own Adventure’, it fails to engage substantively with the emotional and therapeutic difficulties of re-narrating gendered selves, and the need to do so within patriarchal norms in order for healthier self-identities to become possible (for both men and women). 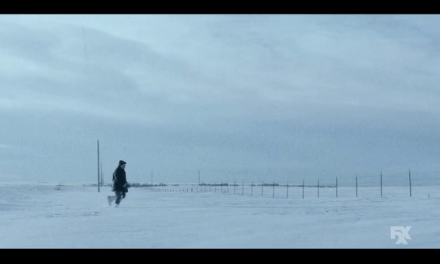 The emotional core of Bandersnatch is a preferred reading of Stefan’s loss of his mother (and his toy rabbit), in which renewed self-identity simply means fantasising the return of lost objects. Such longing for an impossible “re-do” of autobiography is the stuff of fantasy rather than a genuine therapeutic re-narration, as is psychosocially hoped for in The Affair. Worse still, the geek masculinity re-narration and taste culture of Bandersnatch treats emotionalism and vulnerability – “do you want to talk about your mother?” – as an option to be avoided (one can play the game without this therapy-speak at all, even if the player is steered back to it), and thus as one plot device amongst many to be switched in and out of the mix of elements. Geek culture’s re-narration might ultimately benefit from exploring a different set of (TV) inter-texts, examining how The Affair views therapy as engaging with a hard-to-shift sense of self-identity instead of underpinning a neat-and-tidy narrative resolution. Perhaps choosing between multiple paths within a single enclosing, self-affirming taste culture isn’t much of a genuine innovation at all in one’s ongoing ‘Adventure’. Mirroring the self’s tastes and forms of (sub)cultural capital can be pleasurable, just as cleverly mirroring brand values can be profitable for Netflix and Black Mirror alike. But gendered TV taste cultures are perhaps ways of fixing the possibilities of and for re-narration, limiting it to a matter of masculinised gamer-geek capital (where therapy isn’t fully engaged with) or feminised therapyspeak and wished-for ways out of behavioural repetition (where the “routine contemplation of counterfactuals” is melodramatically intensified). Rather than branching between such modes of re-narration – will you choose Black Mirror: Bandersnatch or The Affair? – it would be more interesting to synthesise, hybridise and deconstruct such perspectives, calling into question the persistent pathways and binaristic glyphs of TV taste cultures. Matt Hills is Professor of Media and Film at the University of Huddersfield, and co-director of the Centre for Participatory Culture based there. He is the author of six monographs beginning with Fan Cultures (Routledge 2002), and has edited two collections, most recently Transatlantic Television Drama for Oxford University Press (co-edited with Michele Hilmes and Roberta Pearson), to which he also contributed a chapter on Black Mirror and its fans on reddit. Matt is the author of more than a hundred book chapters/journal articles, and is working on a new book for Routledge entitled Fan Studies. He is also a commissioning editor on the ‘Transmedia’ book series for Amsterdam University Press. Aarseth, Espen J. (1997) Cybertext: Perspectives on Ergodic Literature Johns Hopkins University Press, Baltimore and London. Giddens, Anthony (1991) Modernity and Self-Identity Polity Press, Cambridge. Giddens, Anthony (1992) The Transformation of Intimacy Polity Press, Cambridge. Jelfs, Tim (2018) The Argument About Things in the 1980s West Virginia University Press, Morgantown. Muriel, Daniel and Garry Crawford (2018) Video Games as Culture Routledge, Abingdon and New York. Sharp, John (2015) Works of Game MIT Press, Cambridge and London.